Looking for auto service near Hamden? 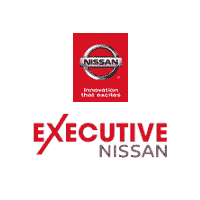 Look no further than our state-of-the-art service center here at Executive Nissan. Whether you need an oil change, brake service, or major repairs, you can rest assured that our certified technicians will get the job done right and have you back up and running on the New Haven roads as quickly as possible. If you’re looking for cost savings on Nissan service, we offer a selection of rotating auto service specials including oil change coupons, car battery coupons, tire alignment discounts, and more. We also have an in-house Nissan parts department. So you can rest assured your Nissan repairs will be done with genuine OEM Nissan parts. Contact us at your convenience for help with all of your car service needs!